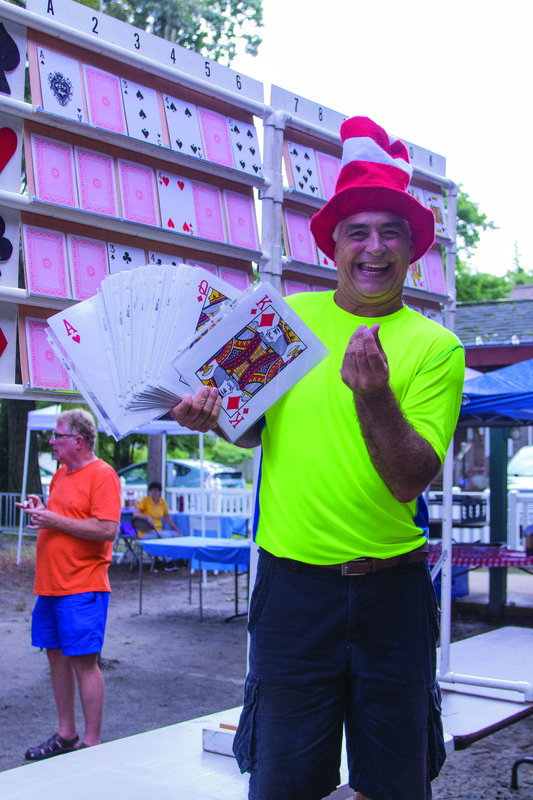 Ocean View dodged threats of rain at the 32nd annual Labor Day picnic, hosted by Delaware Deaf Senior Citizens, which drew a new record of 125 attendees on Sept. 2. 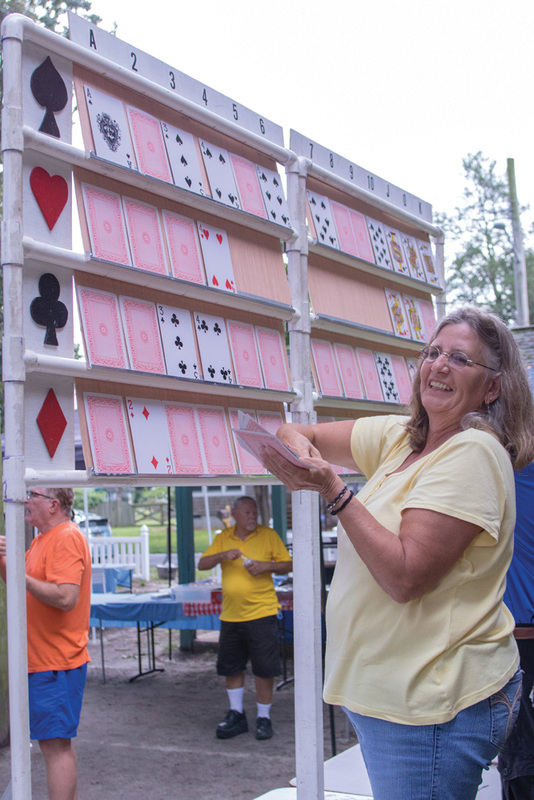 Guests played 'Dingo,' a version of bingo for the hearing-impaired. Here, volunteers hoist the sails on the 'Dingo' board, a version of Bingo for the hearing impaired. The Delaware Deaf Senior Citizens and the Delaware Association of the Deaf will celebrate the International Week of the Deaf (IWDeaf) in the Bethany Beach area during the week of Sept. 23-28, and will feature daily events that showcase American Sign Language (ASL) and deaf culture. The International Week of the Deaf is celebrated around the world during the last week of September to bring awareness of sign languages and the rights of deaf people worldwide. The theme of the 2018 IWDeaf is “With Sign Language Everyone is Included,” and highlights the importance and recognition of sign languages. It emphasizes that sign languages and a vibrant deaf culture strengthen multiculturalism and multilingualism, organizers noted. The week will begin at the Dagsboro Days coffee shop by marking the inaugural International Day of Sign Languages, sanctioned by the United Nations General Assembly and celebrated by the World Federation of the Deaf, the National Association of the Deaf and its state associations. Other events during the week include a reception and presentation on deaf culture, a children’s story-hour in ASL, and two ASL classes at the South Coastal Library in Bethany Beach. A highlight of the week will be a showing of the documentary film “Through Deaf Eyes,” a production of WETA in Washington, D.C., and Florentine Films/Hott Productions, in association with Gallaudet University. The film showing will take place at the Clayton Theatre in Dagsboro and will be followed by a panel discussion led by professors from Gallaudet University. Numerous area businesses are supporting the week’s events. For more information on IWDeaf, visit http://wfdeaf.org/news/theme-for-international-day-of-sign-languages-and.... The Facebook page for Delaware Deaf Senior Citizens is https://www.facebook.com/groups/1724871114214301/. The Delaware Association of the Deaf Facebook page is at https://www.facebook.com/delawaredeaf/.